Education is critically essential in our lives. The count of educated people of a country defines its growth and development in economical and financial terms. Also, education is vital for individuals to survive, be self-sufficient and independent enough to be able to earn a livelihood. In a developing economy like India, where agriculture is the primary source of income, education is the second big thing on which the country spends. In the year 2011, India spent 3.2% of their GDP on education. A poignant fact today is that the schools and colleges alone cannot cater all the education needs in this age of competition. 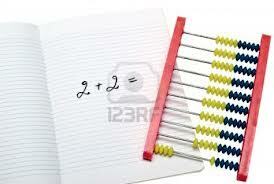 Then the significance of supplementary education courses like Abacus comes into the picture. These courses are designed and structured to transform an overall personality of students so that they are competent, confident and are readily present to face all challenges. Both parents and students are aware that if they perform well in academics, they can easily penetrate into any field for pursing their career. For this, they demand for supplementary courses that help them succeed. Courses like Abacus, acts like complete brain development tools for children of young age which also adds on to their mental arithmetic skills. Right from an early age, the children are prepared to imbibe skills like visualization, concentration, logical thinking, photographic memory and recall within themselves. This makes them proficient to vie on a universal platform. To enroll for one of the most effective Abacus course, contact Master Mind. If someone want to know more about supplementary education I think this is the right place for you! Well said Isha, also the way you explained about the course and its importance is remarkable. And that is completely true that abacus not only helps in improvement of mental maths skills but it also plays a role in complete brain development of kids.